Looking for a straightforward and cheap way to improve your smile? Teeth whitening may be your answer. Zoom! professional teeth whitening, administered by the dental professionals at Robert F. Wilcox, DMD, PC, offers a convenient way to achieve a noticeably brighter smile. 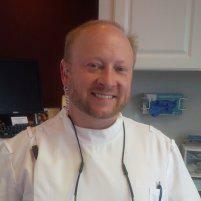 Located in Butte, Montana, the expert dental team at Robert F. Wilcox, DMD, PC whiten your teeth in only a few hours. To find out more about teeth whitening, book an appointment over the internet or call today. How do people get yellow teeth? A variety of factors lead to your teeth turning yellow. Certain medications, age, and the things you drink and eat can all contribute. The enamel on your teeth can get surface stains from drinks like red wine, tea, and coffee, and this can make your teeth appear yellow. Tobacco and smoking are also significant causes. Eventually, these surface stains can become even harder to remove because they go beneath the enamel to the dentin of your tooth. Are you sure teeth whitening isn't dangerous? Definitely. Teeth whitening is not harmful if you comply with product directions and guidelines. The team at Robert F. Wilcox, DMD, PC provides Zoom! whitening treatments for safe, satisfying results. You can get your teeth whitened in just one appointment or gradually with a take-home teeth whitening kit. In either instance, the Zoom! whitening solution is not harmful to put in your mouth and on your teeth. Note that the bleaching agents may cause some non-permanent gum and tooth sensitivity, but this is the only discomfort you might feel. What is the Zoom! in-office procedure like? Zoom! in-office teeth-whitening is simple and could whiten your teeth by up to eight shades in only one visit. * At your appointment, an experienced Robert F. Wilcox, DMD, PC team member will fit upper and lower dental trays into your mouth. The trays will be filled with a hydrogen peroxide whitening gel. Next, your practitioner covers your gums and lips to protect them from the solution. They fill the trays with the bleaching solution and position a specialized bright light over your teeth. The light and bleach work in unison to whiten your teeth as you sit back and relax. This occurs with three 15-minute treatments in a single visit. Between treatments, you wait comfortably, and after the last bleaching treatment, your dental expert covers your teeth in a post-treatment gel to reduce any sensitivity you might have after the whitening. Then you're done. Your teeth are whiter, and your smile is brighter in about two hours. If you'd rather whiten your teeth gradually over the course of a few weeks, ask the Robert F. Wilcox, DMD, PC for an at-home teeth-whitening kit. Call to learn more or schedule a consultation at Robert F. Wilcox, DMD, PC for more information on Zoom! in-office teeth-whitening treatments and take-home alternatives. Let's work together to revive your smile!